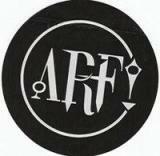 Arf is probably the youngest band I have ever reviewed for this site. Haling from the midlands of Finland, I don’t think any of these dudes are old enough to drive or purchase mild boozes over here (the legal limit for both being 18). The youth of the band is very apparent in the brilliant energy that is on display here. the guys are damned to push their progressing skills to the limit, slight micro-secondary glitches in the timings be damned! Both songs on this demo present some good chops and musical ideas. The quirky, shamanistic chant that starts and finishes the second song is a very nice touch. The songwriting displays definite potential on the whole as well. Cliché is a more straightforward rocker that starts off as mediocre but when the speed kicks off in the end with tremoloed riffs and a thrash beat, a clear vision of a pit arises. Deathcounter has an extended solo section with some wicked guitar leads and harmonies, which are not that complicated, but have a lot of melodic idea in them. Iron Maiden can clearly be heard in these double leads. The biggest factor in need of improvement is the hardest one for most bands – the vocals. Singer/guitarist Luoto has a somewhat mentionable growl and his high-pitched snarl is akin to Alexi Laiho out of COB’s Something Wild-days. His clean singing is in dire need of experience and confidence as right now it falters on barely listenable levels. The lyrics, standard fare metal critique of the evil ways of the world, also border on over-used clichés. Luckily, these are things that will only require time as long as enough effort is put into improving both the range and pronunciation. And considering that the singer is still probably waiting for puberty to complete itself, the voice should get stronger on its own as well. The production is of mediocre demo-quality. Everything audible is nicely balanced, although the problem of inaudible bass is one that I cannot omit silently. I’ve said it a million times, good metal gets better if some fat bass sounds are found. To summarize, Arf is a young band that has definite potential, but is in need of much more work and both time and resources at the studio to beef those sounds up. Time will tell, once again.